Western Buddhists often recoil at the word faith. In a religious context, faith has come to mean stubborn and unquestioning acceptance of dogma. Whether that's what it's supposed to mean is a question for another discussion, but in any case, that's not what Buddhism is about. The Buddha taught us to not accept any teaching, including his, without testing and examining it for ourselves. However, I've come to appreciate there are many different kinds of faith, and there are many ways some of those other kinds of faith are essential to Buddhist practice. Let's take a look. Sraddha (Sanskrit) or saddha (Pali) is a word often translated into English as "faith," but it could also refer to trust confidence or fidelity. In many Buddhist traditions, the development of sraddha is a critical part of the early stages of practice. 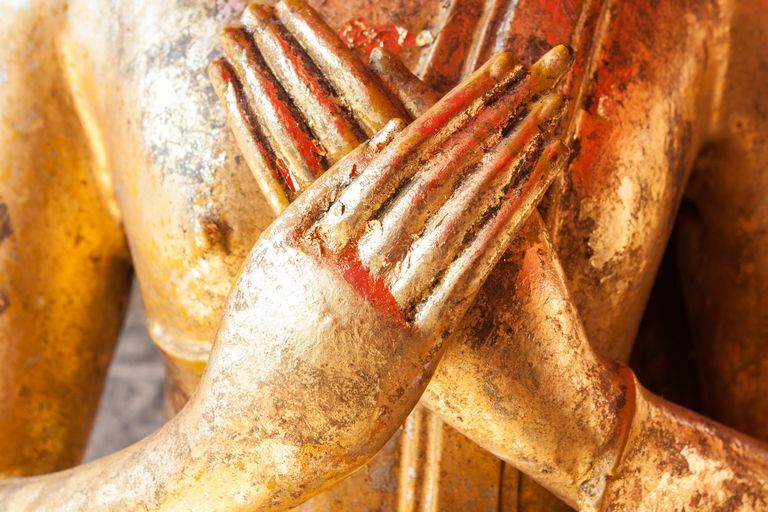 When we first begin learning about Buddhism we encounter teachings that make no sense and that seem wildly counter-intuitive to the way we experience ourselves and the world around us. At the same time, we're told we're not to accept teachings on blind faith. What do we do? We might reject these teachings out of hand. They don't conform to the way we already understand the world, we think, so they must be wrong. However, Buddhism is built on a hypothesis that the way we experience ourselves and our lives are an illusion. Refusing to even consider an alternative way to look at reality means the journey is over before it's begun. Another way to process difficult teachings is to try to "make sense" of them intellectually, and then we develop views and opinions about what the teachings mean. But the Buddha warned his disciples over and over again to not do that. Once we've attached to our limited view the quest for clarity is over. "As a factor of the Buddhist path, faith (saddha) does not mean blind belief but a willingness to accept on trust certain propositions that we cannot, at our present stage of development, personally verify for ourselves." So, the challenge is to neither believe nor disbelieve, or attach to some "meaning," but to trust the practice and remain open to insight. "One associates with the Dharma out of faith, but one knows truly out of understanding; understanding is the chief of the two, but faith precedes." In the Zen tradition, it's said a student must have great faith, great doubt, and great determination. In a way, great faith and great doubt are the same things. This faith-doubt is about letting go of the need for certitude and remaining open to not-knowing. It's about dropping assumptions and courageously stepping outside your familiar worldview. Along with courage, the Buddhist path requires confidence in ourselves. Sometimes clarity will seem light-years away. You may think you don't have what it takes to drop confusion and illusion. But we all have "what it takes." The dharma wheel was turned for you as much as for everyone else. Have faith in yourself.